Being the natural wealth pot that it is, Indonesia has no dearth of places to entertain its guests. One of such is Situ Cileunca! Exclusive for adventurous souls and explorers, the place offers a number of fun activities to its guests. While you need to be physically apt to enjoy these since most of the activities need the body to be strenuous, the vast range allows the less active folks to have their share of fun as well. 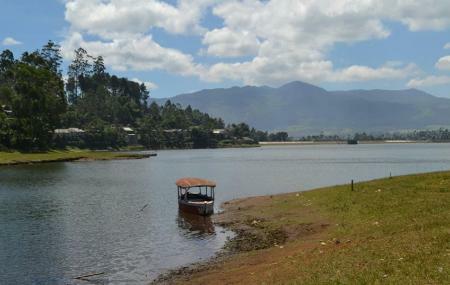 The place is located about 1500 m above the sea level on the lake edge of Situ Cileunca Pangalengan Bandung regency and is surrounded by greenery and nature beautifully. The place offers a number of activities like rafting, kayaking, traditional rowing, fishing and such. A great place for family bonding and interaction with nature. You can add cozy hotels in Bandung like Utc Bandung, Favehotel Braga and Hotel California Bandung. Explore the best Bandung vacation packages that will take to you important landmarks of the city! For getting in, check out how to reach Bandung. How popular is Situ Cileunca? People normally also visit Kampung Batu Malakasari while planning their trip to Situ Cileunca. Good for picnic with family. you can rafting at the river too.